While the 1989 student movement remains a topic of heated discussion in the West, in China, it is forced into national amnesia because discussion of and retrospection on the event have been strictly censored in China’s mainstream media, if not outright banned. Details of the crackdown on June Fourth have been kept from public disclosure since its occurrence, and the divergent yet individually coherent interpretations of the historical mystery between East and West suggest that there are multiple possible truths at work. Six years after the student demonstrations gripped global attention through massive media coverage, the release of The Gate of Heavenly Peace (hereafter abbreviated as The Gate) in 1995 brought back painful memories of the seven-week-long student movement in China. In the face of China’s denial of the massacre and US reluctance to endanger business interests and diplomatic ties, the directors Carma Hinton and Richard Gordon join a battle for the meaning of these events and self-consciously engage in the writing of history (Taylor). Interweaving videotaped scenes of the demonstrations and conversations with participants and eyewitnesses, The Gate provides a detailed chronicle from mid-April, when the public mourning of pro-democracy official Hu Yaobang provoked demonstrators’ expression of long-standing frustration with the lack of political freedoms, to June 4, when the sequence of protests culminated in a government crackdown. Upon its premiere at the 1995 New York Film Festival, The Gate received wide acclaim. Hinton and Gordon amassed over 250 hours of archival footage from nine different countries and conducted lengthy, thoughtful interviews with intellectuals, workers, former government officials, and Chinese student leaders (Lee 134; Litzinger 837). Critics applaud that by including a multiplicity of different voices and a detailed historical background, “[the film] escapes the sensationalism that informed much of the media coverage” (Litzinger 828) and “presents a balanced and ‘dialogical’ perspective on the Tiananmen protests” (Litzinger 837). Acclaimed film critic Charles Taylor remarks that it has “the richness, clarity, and complexity that only the best documentaries afford,” and another critic goes further, saying “[s]uch richness of material is perfect for classroom teaching at the university level” (Lee 134). The Gate is also praised for its masterfully designed web page, a comprehensive digital collection of posters, photographs, music, videos and scholarly works that together explore the underlying themes of the student occupation, such as nationalism, human rights, reform, and revolution. Situating the 1989 student movement in a larger historical background and analyzing it through the lens of political culture in China, The Gate achieves contextualization and demystification of the June Fourth events which other narratives—particularly those in the U.S. news media—fail to accomplish. By rejecting the dominant anti-communist rhetoric of those narratives, the film does not make the event an ideological commodity, but an object of critical debate and meaningful commemoration. However, The Gate’s subtle argument that demonstrators had been socialized in a political culture from which they could never escape causes the film to diverge from a completely distanced, objective account of June Fourth. Though subtle, the negative portrayal of radical students and ideological reading of the conflict between radical and conciliatory camps contribute to the framing of China’s international image, inadvertently reinforcing the “alienatingly different” image of China from the freedom-granting democracies of the West (Chen 18). Back in 1989, the U.S. news media domesticated June Fourth to the American audience by media broadcasts that were refracted through the lens of democracy promotion. Among all the iconic images that appeared in the news coverage, Tank Man is the most memorable—alone and unarmed, an ordinary Chinese man standing motionlessly in front of a battalion of armored tanks, which rolled to Tiananmen Square in response to the Chinese government’s martial law. Cut from a video, Tank Man is condensed and mythologized into a single frozen image and has been generally understood to represent his bold defiance of inhumane state machinery and a heightened and unsolvable tension between an authoritarian state and powerless citizens. A shockingly wide dissemination of the Tank Man image in the U.S. media and the image’s entrenchment in collective memory are indicative of the prevailing anti-communist rhetoric of the Western discourse on the June Fourth events. Tank Man also appears in The Gate, but the directors present it in a meaningfully different way that undermines the validity of the established American interpretation. Yasmin Ibrahim, an extensive publisher on international communications, uses Tank Man as an example to reflect on the problematic role of popular news images in representing events. The recurrence of Tank Man, in both media coverage then and anniversary commemorations in the following decades, affirms his “indexicality” to the June Fourth events (Ibrahim 583). Recalling and retrieving the events of 1989 through the Tank Man, a single evocative image, inevitably results in “collapsing complex events into image narratives and delimiting political analysis into a trope of pro-democracy struggles” (Ibrahim 583). In the process of recirculation, the Tank Man image is “disembedd[ed]” from the original complex historical background, obfuscating the history; meanwhile, it gets “relocat[ed] in popular culture” and consumed within the changing contexts dictated by dominant cultural values and political ideologies (Ibrahim 586). This process of “disembedding” and “relocation” causes decontextualization, and the discourse power of news media reinforces the anti-communist rhetoric that surrounds the June Fourth events. Ibrahim’s view is echoed by Lee, Li, and Lee’s criticism that editorial news over-simplifies complex events according to pre-packaged ideology. In their article “Symbolic Use of Decisive Events: Tiananmen as a News Icon in the Editorials of the Elite U.S. Press,” Lee et al. examine references to June Fourth in the editorials of The New York Times (NYT) and The Washington Post (WP) over time, in an attempt to show that the meaning associated with the event has changed along with the evolution of U.S.-China relations in the past two decades. From 1989 to 1992, the descriptive lexicon employed in the editorial discourse is “killing,” “slaughter,” and “massacre,” revealing strong moral condemnations (Lee et al. 342). At the end of the Cold War, the elite U.S. press still viewed China as a communist threat from the East and solidified the image of Tiananmen as a symbol of inhuman authoritarianism in the minds of American people. As the mouthpiece of American political ideology, the press turned June Fourth into a tool to stoke anti-communist sentiment, which in turn strengthens the might and righteousness of American liberalism. In this sense, the “[s]ocial memory” of June Fourth is “stripped of context” and becomes “unstable at the level of information” but “stable at the level of shared meanings” (Ibrahim 589). June Fourth in the editorial discourse, therefore, became less of a complex historical event full of nuanced information than a means to propagate the dominant political ideology. Lee et al. also show that the meanings associated with June Fourth have been reenacted “through the process of continual recirculation” (337). In the second period from 1993 to 2000, Tiananmen “evolved from a sweeping symbol of authoritarianism and Communist dictatorship into a more concrete and specific symbol of human rights abuse” (Lee et al. 345). Into the 2000s, U.S.-China relations took a friendlier turn because of strategic reciprocity—America declared war on terrorism for which China’s alliance was important; China needed America’s support to enter the World Trade Organization. The focus of NYT and WP’s editorials shifted to the personal stories of Chinese dissidents and activists, and the use of Tiananmen was less condemnatory than commemorative (Lee et al. 348). Over time, June Fourth has evolved artificially from a catch-all symbol of dictatorship to an allusion to Beijing’s indifference to human life, and finally to an entry point for the press to comment on the current repressive political climate in China. Different generations of audience are provided various versions of the story, causing them to perceive the same event in manipulatively different ways. The negative consequence is that June Fourth has been mystified over the course of circulation. In light of the persistence of journalistic accounts to either condense the sequence of events in 1989 to evocative images of debatable meaning such as the Tank Man, or to impart different symbolizations to a foreign event, it becomes easier to understand why the coherence of the global collective memory of June Fourth continues to be undermined by the discrepancies between various accounts of the story that correspond to changing national interests and cultural repertoire. In contrast to foregoing decontextualizing and mystifying tactics utilized by other narratives to project self-serving ideologies, The Gate distinguishes itself by giving back historical complexity to June Fourth and narrating the event with distanced objectivity. The film succeeds in subverting, at least partially, the undercurrent of anti-communist sentiment that underlies most of the dominant American accounts. The first meaningful move taken by the film is to provide the video version of Tank Man at the beginning, counteracting the misleading message sent by the popular motionless version. In the static image, it seems as though the tank is about to crush the innocent young man, which tempts the viewer to condemn the overpowering state and the photograph has become a cultural symbol of resistance. In contrast, the video clip in the film shows that in fact, the tank is constantly changing its advance direction to back off from the man; it is the man who keeps harassing the tank and even climbs up on it to flaunt his prowess. By providing the original videotape of Tank Man, the film argues that it is not the callous authoritarian state machine that we have always assumed, but one that is capable of restraint and compromise. This argument sets the groundwork for the rest of the film to dissolve a series of misinterpretations that revolve around June Fourth. In the rest of the beginning of the film is the reminder of China’s recent evolution until 1989. This lengthy recollection, which helps to provide insight into the historical roots of the event, orients the viewer to a larger historical context. Instead of directly delving into the events in 1989, the first thirty minutes of the film provide a fleshed-out account of decisive social transformations that China has undergone since the 20th century, from the May Fourth Movement, to the People’s Republic of China under Maoism, to the Cultural Revolution, to Deng Xiaoping’s rise to power, and finally, to the successes and ramifications of his economic liberalization initiatives. The recounting of recent Chinese history is an important contextualization strategy: Instead of isolating June Fourth in a confined time span, which may very likely lead to simplistic conclusions due to a lack of context, the film equips the audience with the historical background necessary to understand the final crackdown in light of China’s inherited political radicalism. As Associate Professor of Cultural Anthropologist at Duke University, Ralph Litzinger points out, “the time the viewer is asked to inhabit is not only the chronology of events traced through April, May, and June 1989 but extends as well to the last imperial regime and the birth of twentieth-century Chinese nationalism and Maoist socialism” (838). Cutting back and forth between videotaped scenes of former historical events and student demonstrations in 1989, this film strategy places “student actions, comments, and reflections in the context of a history of student radicalism” (Litzinger 837). The viewer is invited to understand students and their movements “as products of their own culture and time” (Litzinger 383). While other narratives, particularly those in the news media, tend to frame June Fourth as a bilateral confrontational drama between the students and the government, The Gate highlights the Chinese government’s multiple concessions and its willingness to cooperate with the dissidents. In the film, every time the government conducts dialogue with student representatives, the voice of radical students always drowns out that of reform-minded students. The hope of reconciliation is repetitively ruined by student extremists’ demand that transformation into a liberal democratic state be completed overnight. Thus, “the conflict of the movement was not just between the students and the government, but between the students and an older, more cautious generation of intellectual dissidents, and within the student organizations themselves,” writes Charles Taylor. “[T]he tragedy was even deeper than we assumed, a result of missed opportunities, past demons, and unyielding positions on both sides” (Taylor). A simplistic characterization of the Chinese government as bigoted and repressive is the very foundation upon which anti-communist narratives are based. By exposing the audience to the unrecognized moderate side of the state, The Gate cripples those biases at a fundamental level and brings a more balanced appreciation of the Chinese government. Regretfully, the historical richness of The Gate that is “perfect for classroom teaching at the university level,” as one critic terms it, does not yield much discourse power due to its confined circulation among liberal scholars in the West (Lee 134). Lee gives insight into the reason why the mass media has monopolized the power in giving meaning to June Fourth: “[t]he overall effect is overwhelming and perhaps more than a little confusing for the average television viewer in the West, whose viewing habits have been shaped by countless smooth, quick-cutting Hollywood movies and the fast-moving linear narrative mode of television news programs that do not require long attention spans” (134). This statement can be corroborated by the fact that The Gate has reached a relatively small group of viewers compared to other documentaries. The film has not reached a large enough audience to exert otherwise considerable influence on the public discourse on June Fourth. The Gate satisfies many of the demands we have placed on documentary films, and the audience is given the opportunity to engage with the wider significance of the events in 1989. But it is a dubious practice to uncritically laud the film’s historical realism without also interrogating the ways in which it inadvertently joins the larger Western discourse that attempts to code the series of 1989 events as a failed experiment of democracy in the distant Communist East. The Gate’s strategic treatment of U.S. journalist Philip Cunningham’s interview with Chai Ling speaks to the ideological force of the film’s underlying argument that student demonstrators had been radicalized by the very political atmosphere they intended to transform. Chai Ling was the self-proclaimed commander in chief of the Tiananmen occupation, throughout which she insisted on uncompromising antagonism against the state government even when there had been chances for reconciliation. The film returns to the interview in bits and pieces more than fifteen times, juxtaposing Chai’s stinging denunciation of the government and fanatical appeal for violent insurrection in stark contrast with other interview subjects, who chiefly speak with reasoned reflection and advocate less confrontational means of political organizing. Litzinger observes an interesting tension between the film’s overall complexity and its over-reliance on Chai’s dramatic account; he writes, “What is striking to me is how the film, on the one hand, is so intent to show the complexity and deep historical roots of the tragedy, while on the other hand, it draws so much dramatic attention to the figure, words, and performance of the Chai Ling interview, which was, in fact, a very small part of the overall event” (842). Geremie Barmé, an Australian sinologist as well as one of the screenwriters for The Gate, builds on Litzinger’s observation that the film is disproportionately devoted to the Chai interview, saying “[Chai] is seen as embodying, in a metonymic way, the Maoist State itself” and “[she is] forced to occupy the space of the incommensurable other” (qtd. in Litzinger 843). In the interview, Chai reflects on the bitter divisions between moderate and radical student factions, reiterates the importance of taking extreme approaches unyieldingly against the corrupt hardline state, and repeatedly identifies bloodshed as the only means to awaken Chinese to overthrow the brutal regime. All of her discussion of life and death, class division, and the red battle is reminiscent of the Maoist revolutionary rhetoric. The depiction of Chai—a gallant rebel speaking the very language of the Party that she seeks to dethrone—is consistent with the film’s underlying argument that these passionate, young political activists, despite their best intentions, may never escape the political culture that has shaped their actions. In addition to Chai Ling, there were numerous other students and intellectuals who have gone to the extreme to defend their political beliefs. Demonstrators broke up into two opposite camps, reform-minded or revolution-inclined, and acute tension rose between them. As the movement proceeds, “[t]hey try to stifle alternative positions, accuse their opponents of being traitors, and attempt to manipulate events to their advantage to maintain power,” writes Gina Marchetti, a critical theorist on cultural studies at University of Hong Kong (223). “Perhaps even more than the old men in power, the demonstrators are ‘children of Mao,’ and they exhibit the legacy of Mao’s romantic revolutionary idealism” (Marchetti 223). A cruel irony thus operates in the film: The protesters, in their quest for democratic representation, are portrayed as having adopted the very instruments of oppression that they were seeking to eradicate. The political infighting among demonstrators reminds us of a staggering parallel between the dissident camp and the state: they have similarity in terms of suppressing dissenting views and persecuting political opponents. The Gate, by presenting this striking resemblance—not in words, but in its methods of reenactment—turns our attention again to the Chinese political culture that looms large in the background, which has been incredibly powerful in moulding the behaviors on both sides. Presented with the painful disjunction between these two sets of images, the viewer is reminded anew that democracy and freedom, which are pivotal to American national identity, are still very far from being achieved in China. The audience, therefore, is invited to interpret June Fourth as a failed episode of pursuing democracy, a tale about how political freedoms and participatory democracy are still lacking in a monolithic state ruled by an outmoded socialist system. The way in which the film subtly encourages the use of political stereotypes about China has an actual effect of valorizing the values underpinning American liberalism. The Gate intensifies the United States’ ideology of seeing itself as the benchmark for and beacon of democracy and freedom. Hence, the film ends up joining the larger news media discourse that tries to peddle this ideological commodity, just like the strategic reenactment of Tank Man and by the elite editorials. The Gate of Heavenly Peace ultimately participates in the dominant Western ideological discourse due to its problematic portrayal of Chinese demonstrators through the editing of interviews, its drawing of an analogy between protesters and the state to emphasize ingrained political radicalism and revolutionary idealism, and its subtle construction of an idiosyncratically different image of China that stands in stark contrast to paradigmatic American ideals. Nevertheless, it would be unfair to dismiss the film’s bold challenge of authoritative narratives of June Fourth in the West. The Gate has outstripped its numerous counterparts, primarily in the U.S. news media, by providing an objective reading of Tank Man, underscoring the moderate line within the Chinese government, and uncovering the complicated historical and political situations that lead to June Fourth. Through making sense of June Fourth in light of the larger historical context and inherited political culture in China, The Gate is a successful attempt to restore historical complexity to the event. The film’s astute and thoughtful reading of Chinese society interrupts the interpretive coherence constructed by the U.S. news media which largely oversimplifies and condenses June Fourth into an ideological package. Viewed from this perspective, The Gate has a dual interpretive identity: on the one hand, it tries to recover the causes, consequences, and historical truth of June Fourth; but on the other, through igniting political stereotypes, it also successfully propagates American-flavored ideas of democracy and freedom. At the end of the day, the film does not escape the curse of the limit of representation—it is produced in a cultural environment that is imbued with stereotypical generalizations about June Fourth and about China, and it eventually joins the meta-narrative from which it intended to depart. Chen, Pauline. “Screening History: New Documentaries on the Tiananmen Events in China.” Cineaste 22.1 (1996): 18-22. JSTOR. Web. 8 Nov. 2016. Ibrahim, Yasmin. “Tank Man, Media Memory and Yellow Duck Patrol: Remembering Tiananmen on Social Media.” Digital Journalism 4.5 (2016): 582-96. Print. Lee, Chin-Chuan, Hongtao Li, and Francis LF Lee. 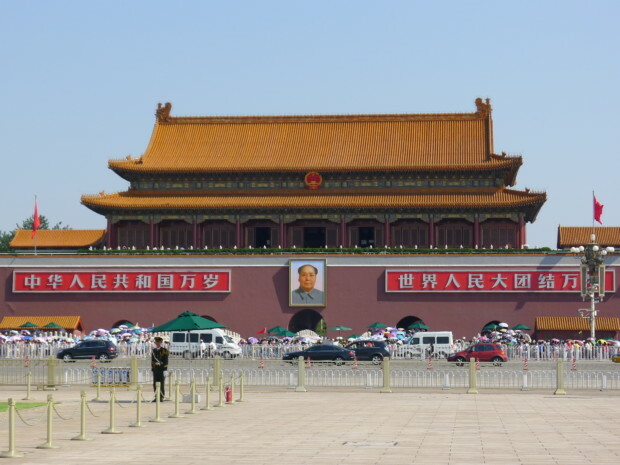 “Symbolic Use of Decisive Events: Tiananmen as a News Icon in the Editorials of the Elite U.S. Press.” The International Journal of Press/Politics 16.3(2011): 335-56. Print. Lee, Leo Ou-fan. “Visualizing the Tiananmen Student Movement.” The China Journal 35 (1996): 131-36. JSTOR. Web. 21 Nov. 2016. Litzinger, Ralph A. “Screening the Political: Pedagogy and Dissent in The Gate of Heavenly Peace.” Positions 7.3 (1999): 827-50. Print. Marchetti, Gina. From Tian’anmen to Times Square: Transnational China and the Chinese Diaspora on Global Screens, 1989-1997. Philadelphia:Temple University Press, 2006. Print. Taylor, Charles. “A Tiananmen Square Documentary is the Holiday Movie of the Year.” Movie Reviews. Boston Phoenix, n.d. Web. 21 Nov. 2016. The Gate of Heavenly Peace. Dir. Carma Hinton and Richard Gordon. Perf. Chai Ling, Wang Dan, Dai Qing, Ding Zilin, Han Dongfang and Wuer Kaixi. Ronin Films, 1995. Film.